AUGUSTA, Maine — Gov. 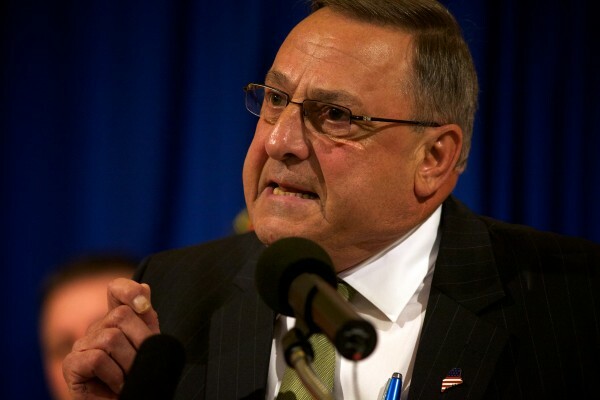 Paul LePage on Wednesday declared a state of “civil emergency” in an effort to minimize the financial impact on state operations of the federal government shutdown. Top members of LePage’s staff stressed Wednesday that the governor’s goal is to prevent state employees from losing their jobs. One of the powers given to the governor in a civil emergency is the ability to transfer state personnel to ensure the ability to “cope with the emergency,” according to state law. That could potentially free the governor to ensure that certain government functions handled by laid-off employees continue despite the shutdown. The power of the purse strings stays with the Legislature during the civil emergency, and lawmakers can repeal the governor’s proclamation by joint resolution. More than 2,700 state employees are paid, either partially or entirely, with federal funding. Those jobs, as well as federally funded programs and services, have been put in jeopardy by the cutoff of federal revenue during the shutdown. In a letter to state employees, LePage reiterated that he has been in regular contact with union officials in an effort to find alternatives to layoffs. “Please know that our administration is working tirelessly to assist our employees and to allow the continuation of programs and services to the citizens of Maine,” he said. Publicly, LePage and the union had been presenting a united front in the face of limited federal funding, saying Friday they were working together to minimize the effect of the shutdown. Rivard also criticized the governor for laying off more than 50 federally funded DHHS workers on Monday, which she said was unnecessary, even in the face of the government shutdown. The possibility of a civil emergency proclamation was not raised during comments by Finance Commissioner Sawin Millett, who on Wednesday briefed lawmakers on the Appropriations Committee about the shutdown and its effect on that state. LePage will meet with lawmakers Thursday morning. Most legislative leaders on Wednesday urged transparency and cooperation during the length of the civil emergency. “I intend to keep in close communication with the governor’s office and Democratic legislative leaders in the coming days so that we can all manage this unfortunate situation in a collaborative and pragmatic manner,” wrote House Minority Leader Ken Fredette, R-Newport. In the past, governors have declared civil emergencies as a result of hazardous weather or as a response to unforeseen economic shocks, such as Gov. John Baldacci’s declaration in 2007 as a result of a price spike in diesel fuel.